The Exquisite Art at Waiea — Jack Tyrrell & Company Jack Tyrrell specializes in Kakaako, Honolulu, Hawaii luxury condo projects. To learn more about his work, visit his website here. 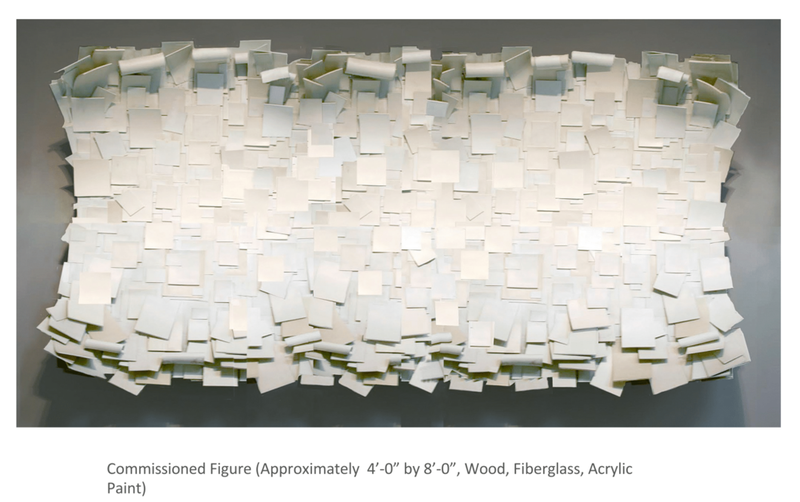 For the past ten years Jeff Colson has been working on a series of sculptures, paintings and watercolors that focus on the ephemeral quality of paper, as a subject and a material. Each work depicts a peripheral accumulation of paper, once symbolic of the day-to-day frenzy of one’s life. As a single sheet it is barely there, but when accumulated, it becomes physical and symbolically loaded as information and the systematization of our daily existence. Colson recognizes that in an attempt to control chaos we are sometimes caught in a manic and desperate spiral to prevent the inevitable, the absurdity of this “Catch-22” is evidenced by the accumulation of almost everything that we desire, regardless of need. Ironically, now with the digital age, paper is on the brink of extinction. This existential view has been the underpinnings of most of his work, coupled with a desire to make objects from memory with all its distortion—a personal validation of acquisition. Using his own handcrafted techniques, the elements of the work are carved, cut, sawn, sanded, painted, welded, and molded to replicate an object that is recognized at once for its intent and as absurd as an art object. Stacks (2014-2015) is an amalgam of three happenstance load-bearing objects: desk, drop leaf table and a milk crate supporting an ever increasing and ominous mountain of paper stacked like performance bar graphs. These comically wobbly towers of paper, the residue of well-intentioned ambitions seem touching in their sincerity, and the act of attempting insurmountable odds, a universal experience. The artist lives and works in Pasadena, California. (Reference: Maloney Fine Art Gallery). For more information, please visit Jeff's website here.